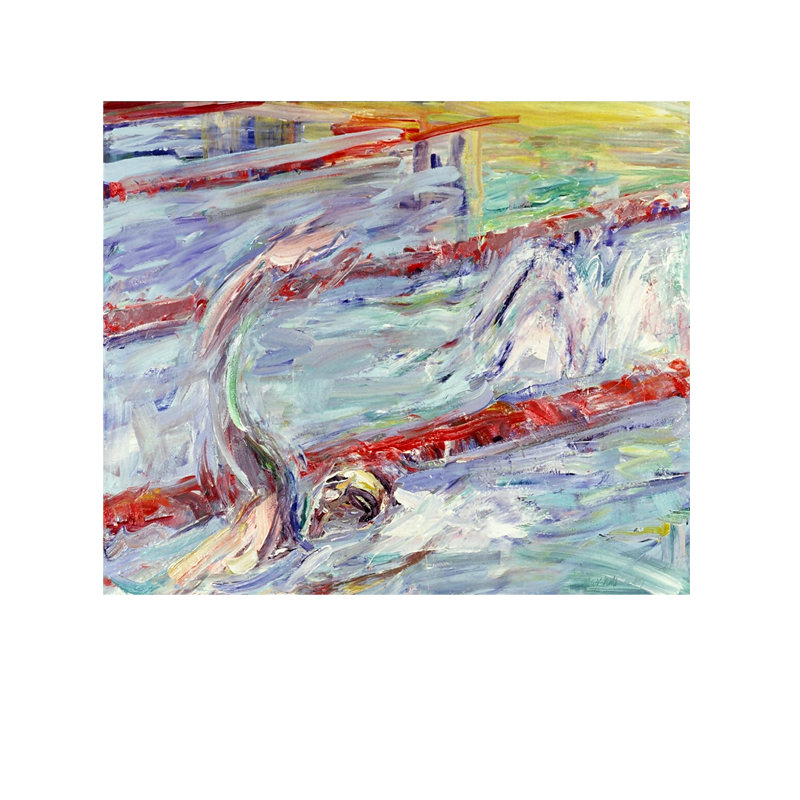 Back in the 1980s when I was swimming laps, I caught watery glimpses of other swimmers. 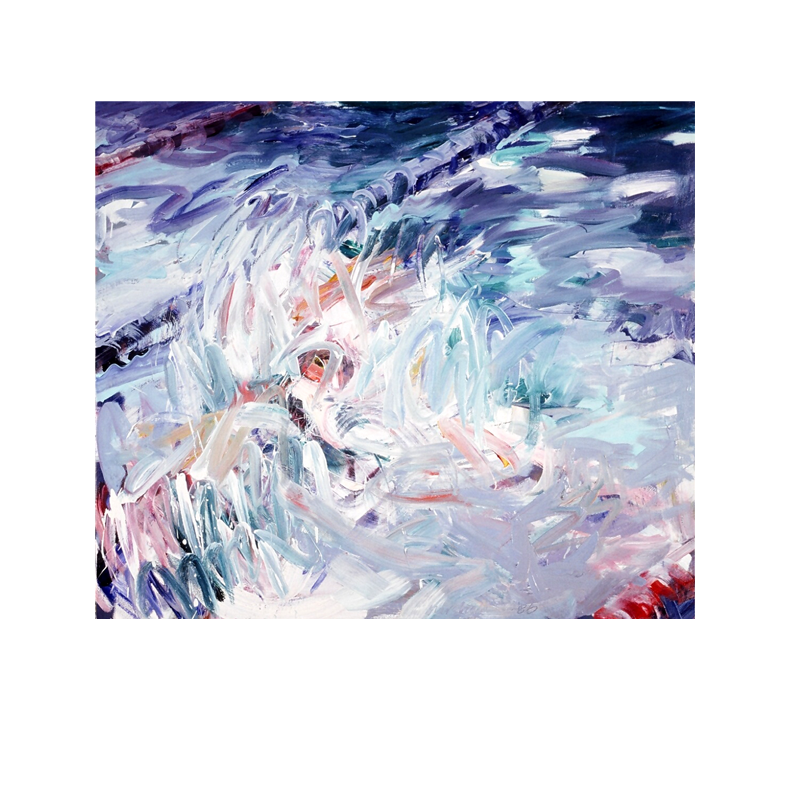 I became fascinated by these figures abstracted by their movement through water. 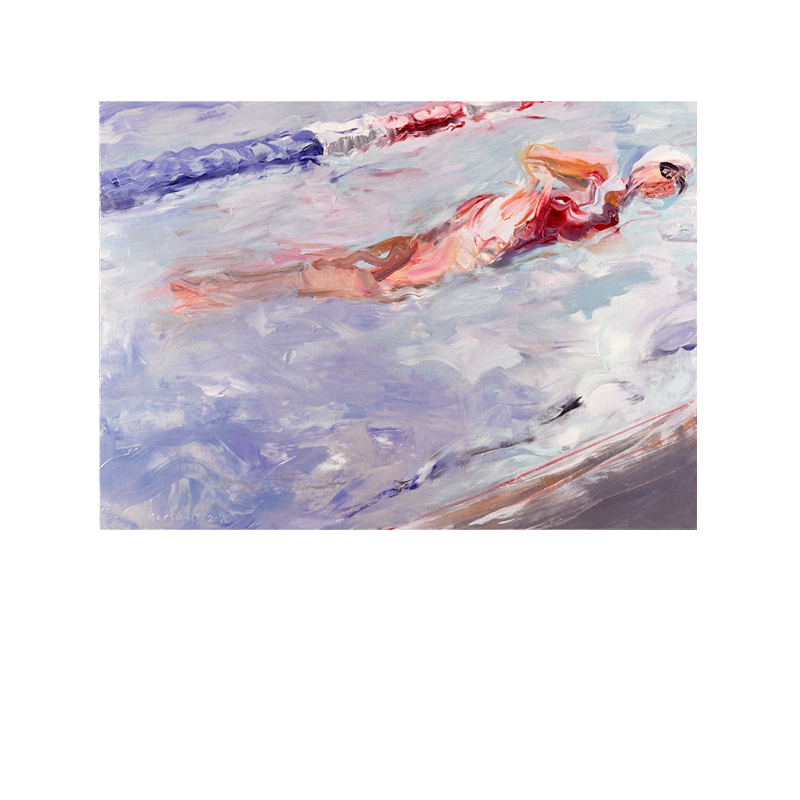 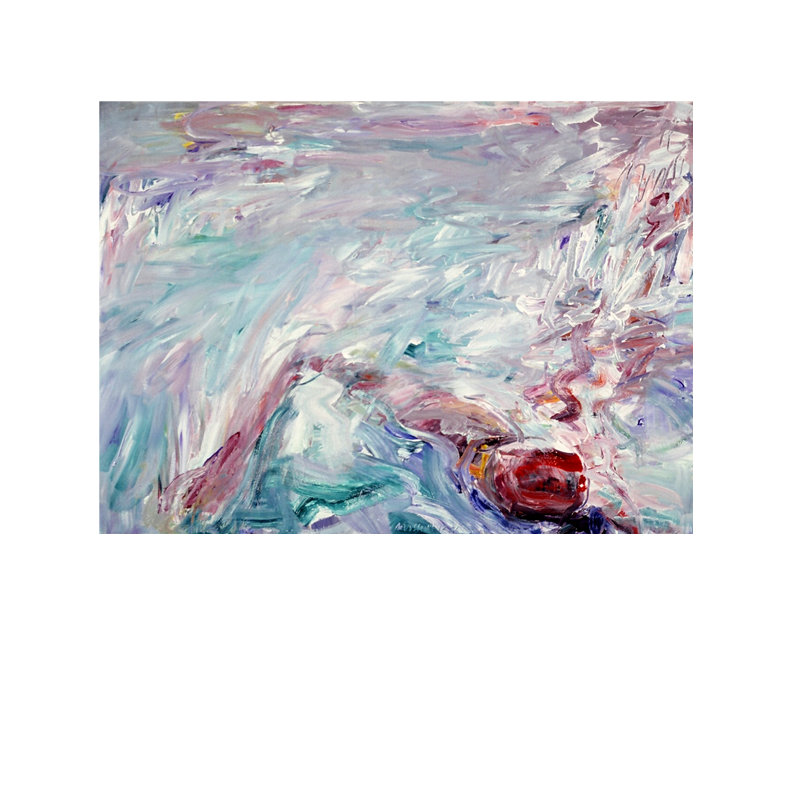 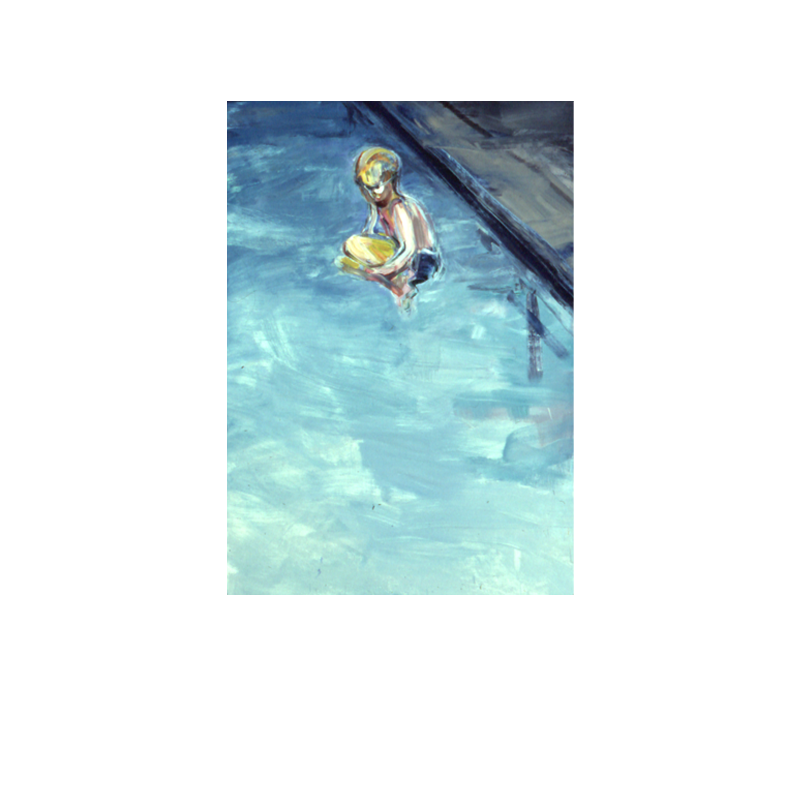 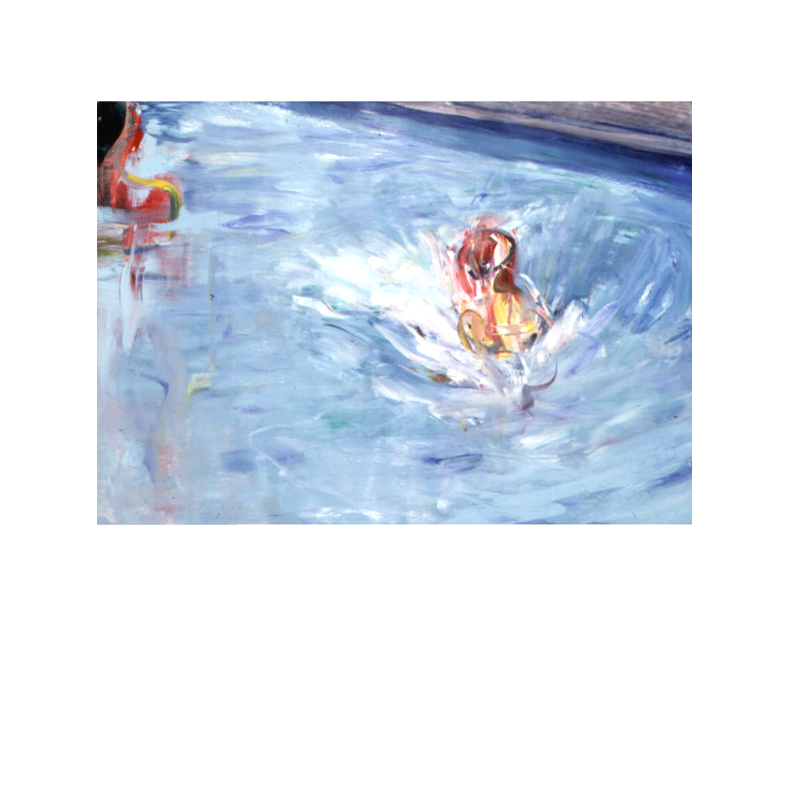 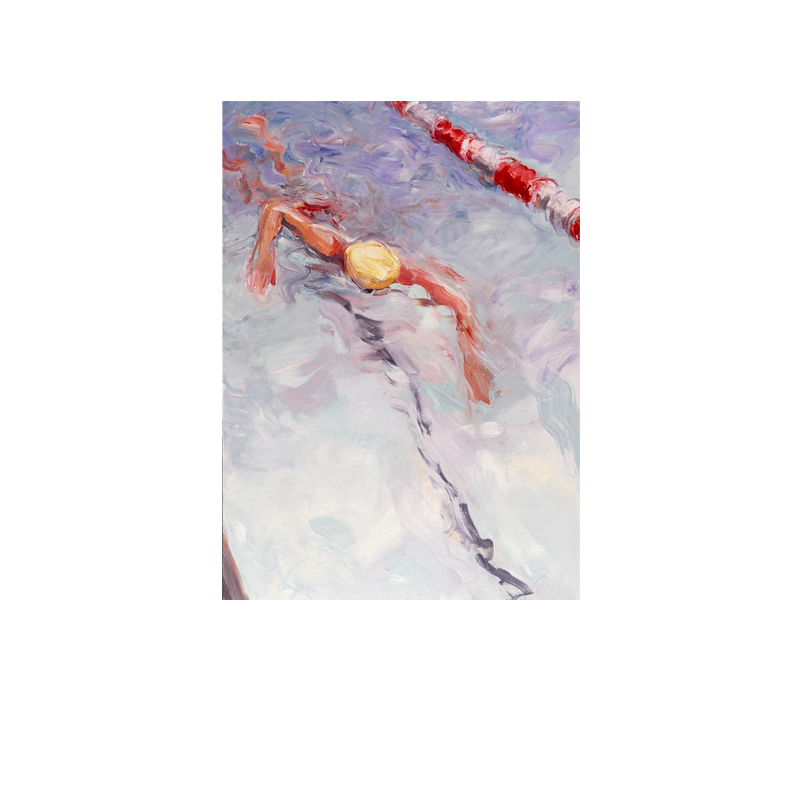 My first Swimmer oil paintings were frenzied and splashy. 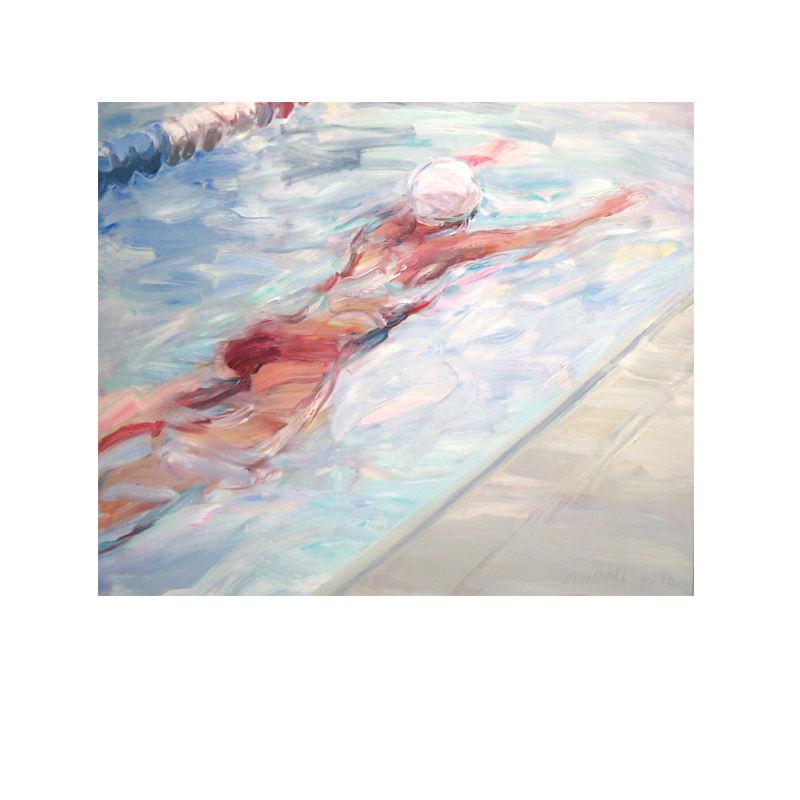 Over time the Swimmer figurative paintings evolved, and the movement became more efficient and refined. 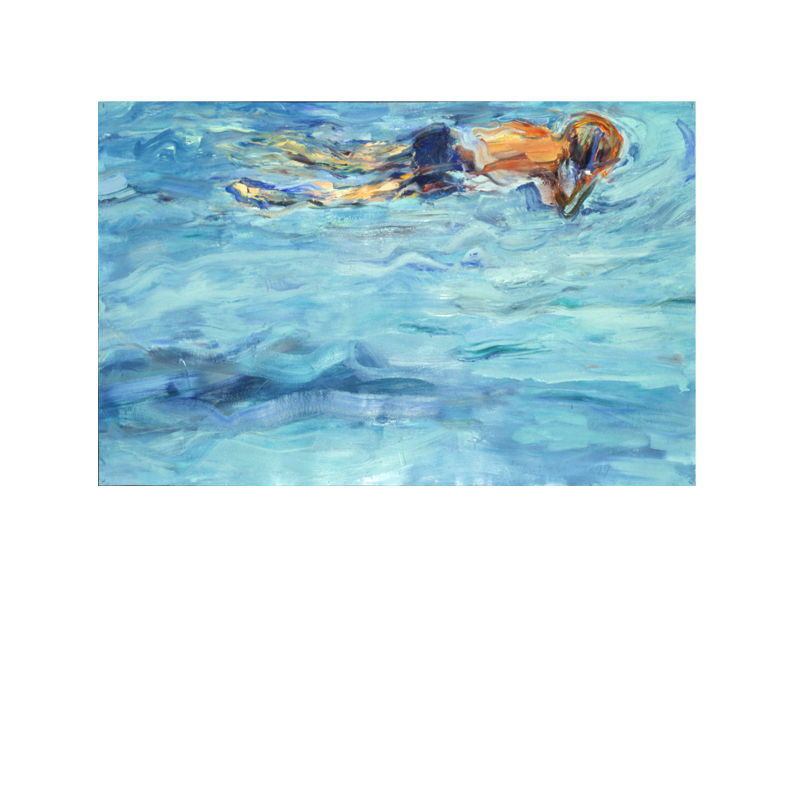 By 1988 my swimmers glided smoothly through transparent water.